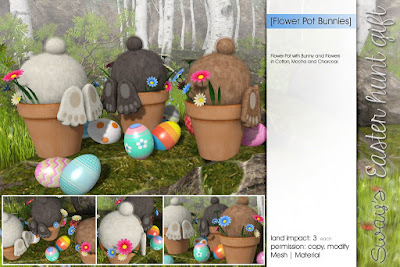 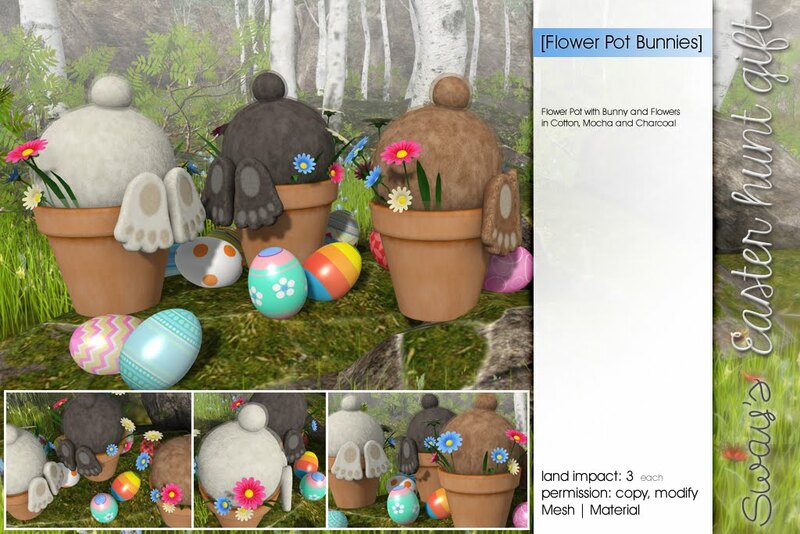 It's Spring and Easter is just around the corner. 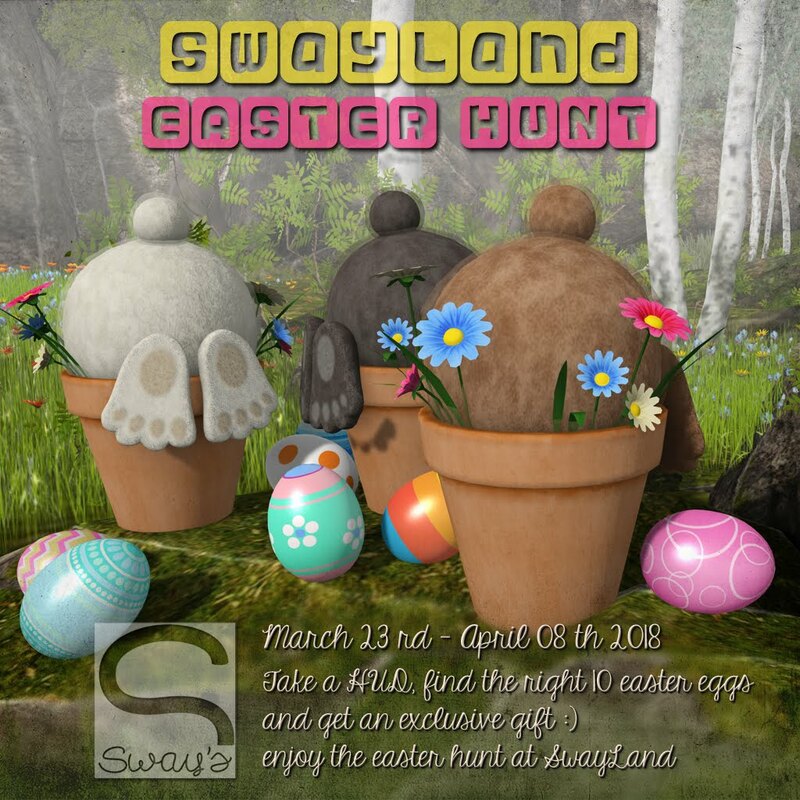 That is the best time for a SwayLand hunt. 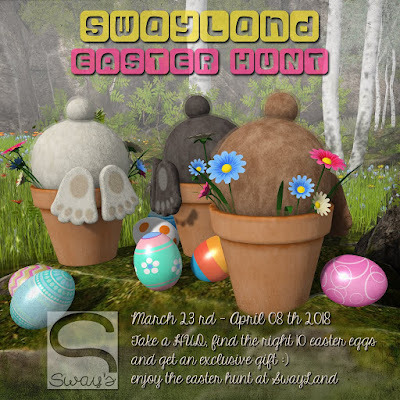 Hop over to SwayLand, touch the sign by the big Easter Egg present (near the landing point).